Barcelona is Spain’s second largest city, and capital of Catalonia. 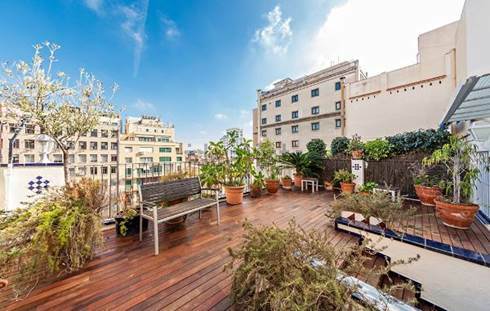 Barcelona property is found in a truly modern city, and in one of the world’s leading cities in terms of economic power, cultural influence and tourist revenues. Situated on the Mediterranean Sea, between the mouths of the Llobregat and Besos rivers and bordered to the west by the Serra de Collserola ridge, it is easy to see why Barcelona became such a rich and important city. Today Barcelona is ranked as the world’s 4th most ‘liveable city’ (2010), according to an index of crime rate, international connectivity, climate, quality of architecture, public transportation, tolerance, environment and access to nature, urban design, business and economic conditions, proactive policies, and health and medical care. The city is also the 4th richest, ranked by GDP, in the EU, at 44% above average, with a rapidly growing business and financial sector. All these factors mean that Barcelona property is found in one of Europe’s prime locations, combining the very best of living conditions, economic stability and quality of living. Founded as a Roman city, and important throughout history, Barcelona has many important cultural and historical sites, and several UNESCO world heritage sites. Much of the Barcelona property in the old town dates to the medieval period, and the Barri Gotic (Gothic quarter) at its centre contains many spectacular buildings, some even dating from the Roman origins of the town. 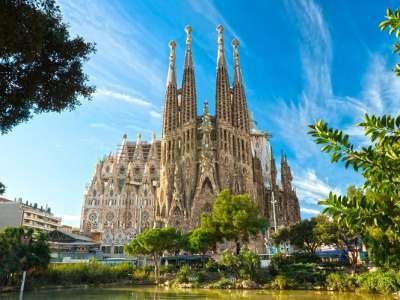 Barcelona is however noted for its modern, as well as historic, architecture, including the works of Antoni Gaudi which can be seen throughout the city, including the still unfinished church of the Sagrada Familia, begun in 1882. In 1999 Barcelona won the RIBA Royal Gold Medal for the stunning architecture throughout the city- the first and only time that the winner has been a city and not an individual architect. No doubt part of Barcelona’s historical importance is its spectacular location and excellent harbour. The city is located on the northeast coast of the Iberian Peninsula, overlooking the Mediterranean Sea, and Barcelona property can be found with breathtaking sea views, either directly on the coast, or further inland in the mountains that provide a backdrop to the city. Barcelona itself is found on a 170 km2 plain, of which nearly 2/3 is occupied by the city itself, and is bordered by the Llobregat river to the southwest and the Besos river to the north. 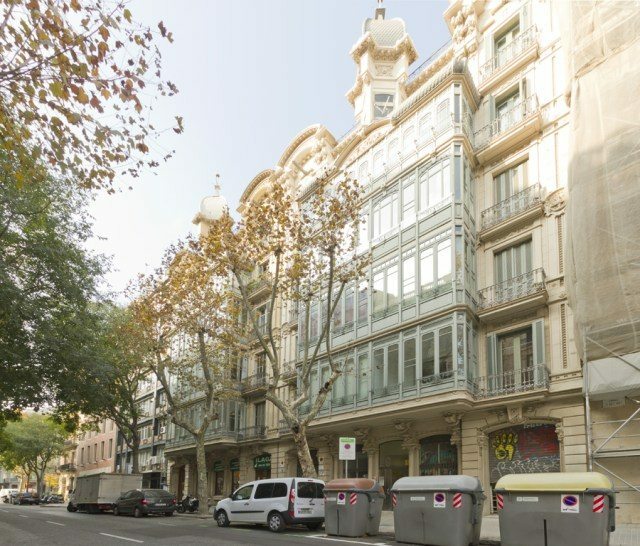 Barcelona property is often found in one of the many neighbourhoods of the city named after the small hills on which they stand, such as Carmel, rising to 267m, Putxet at 181m and Rovira at 261m above sea level. Barcelona property at Montjuic in the southeast of the city offers views over the harbour and is topped with the spectacular 17th century Montjuic castle, which is now a museum. Montjuic itself is also home to Barcelona’s biggest park and gardens, and well as several of the city’s cultural and sporting venues. Barcelona is, of course, famed for its sports and sporting facilities. Home of the globally famed FC Barcelona and host of the 1992 summer Olympic games, Barcelona property is located near to a wide variety of facilities, both for sports entertainment and for playing a wide variety of sports. FC Barcelona’s Camp Nou stadium is the largest in Europe, hosting a wide range of world-class, international and championship games, and several other stadiums in the city host a variety of sporting events and music concerts. Near the city is the Circuit de Catalunbya, home of the Formula One Spanish Grand Prix, Catalan motorcycle Grand Prix and GP2, among others. Golf is popular is the area, with a wide variety of courses, both traditional and modern, easily found near any Barcelona property. As well as a whole host of purpose built facilities and gyms, the numerous parks and gardens provide an excellent opportunity for recreational fitness, as well as providing a beautiful natural oasis near any Barcelona property. 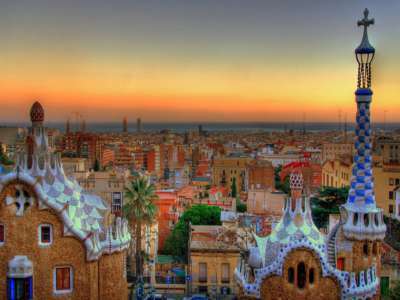 Barcelona property benefits not just from a beautiful city, but also from the warm and sunny Mediterranean climate. The temperature is generally stable, without large fluctuations, especially in the summer months, with 2.524 annual hours of sunshine. Generally summers are warm and dry, with an average of 10 hours of sunshine, while winters are mild, with an average temperate in the coldest months of 14°C and 4.5 hours of sunshine, even in December. This wonderfully warm climate and warm sea temperature means that owners of Barcelona property can enjoy the city’s beaches at any time of the year. Barcelona boasts a total of seven beaches, and is thought to have the best urban beaches in the world, according to the National Geographic, and the 3rd best beach overall in the world. In total there is a staggering 2.8 miles of Mediterranean coastline fronting the city, including the Sant Sebastia and Barceloneta beaches. These beaches are the oldest and most popular in Barcelona, their identical 1,100m lengths are separated by the Olympic Harbour from the city’s smaller beaches. Barcelona takes great pride in its urban beaches, ensuring that they are clean and well maintained, even going as far as artificially replenishing any sand washed away by storms. Barcelona is one of Europe’s top tourist destinations, with many visitor attractions both in the city and in the neighbouring area, which, of course, makes Barcelona property a prime investment opportunity. Premium Barcelona property is also available for those wishing to live in one of Europe’s most liveable cities, and one of its great fashion capitals, either full or part time. The most fashionable areas of the city are, broadly speaking, those at its heart, located near to the designer boutiques and best restaurants. Places of special note in which to buy Barcelona property are El Born, El Raval, traditional home of the city’s artists and intellectuals, and, of course, the old town Gothic Quarter. Barcelona property is easily reached from almost anywhere in Europe, or the world as a result of the city’s modern transport links. Barcelona’s International airport is just 17km from the city, serving a wide variety of locations in Europe and destinations in Latin America, Asia and the US. Additionally the port that has been so prominent in the growth and wealth of the city, and continues to be to the present day, as well as providing as entertainment venue with mall, multiplex cinema and Europe’s largest aquarium, is both a thriving container and passenger port. Rail links in the city are excellent, with Barcelona being a part of the high-speed rail network linking all of Spain’s major cities, and further into France, designed for speeds of 310 kmph. Barcelona property is also easily accessed by the excellent motorway network, as the city lies on three international routes, including the E15 (north-south), E90 (west-east) and E09. Within the city itself, the public transport network is also highly efficient and reliable, including a metro, tram network, bus and 10,000 strong fleet of taxis, as well as the bicycle service where bicycles can be taken from and returned to any of the 100 bicycle stations throughout the urban area.